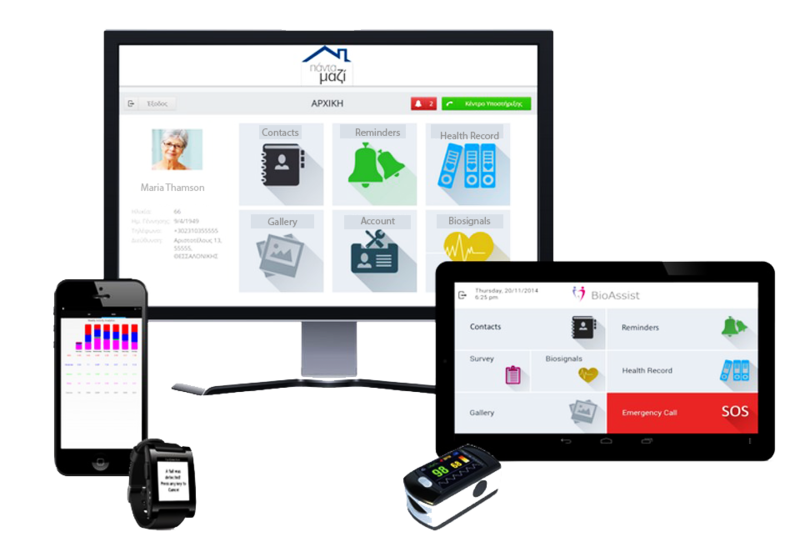 BioAssist explores state-of-the-art Cloud technologies to provide In-home Assisted Living (telehomecare) to elderly and chronically ill people. A telehomecare solution helping elderly, sick and disabled people receiving medical services while staying home using technology. An innovative portal bringing hi-tech to the benefit of society. Portability. 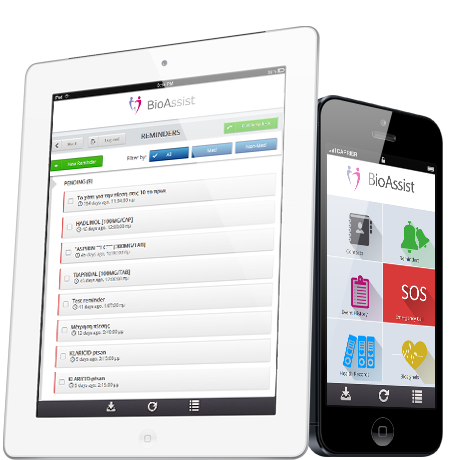 BioAssist has been designed for the elderly and chronically ill citizens as well as their relatives and friends. The service and itscorresponding wearable devices need minimal input from the users. Ease of deployment. All BioAssist wearable devices can be easily deployed with no extra requirements for installation. The sensors automatically self-calibrate to seamlessly send readings of designated vital signs to the service provider. 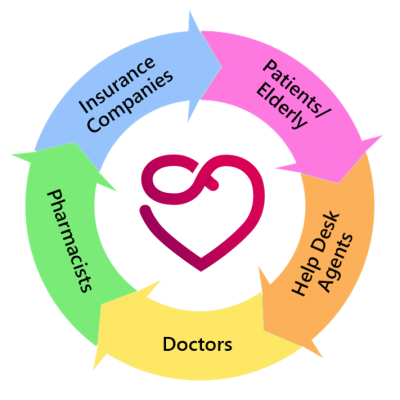 Patient-level services are provided by a simple tablet or PC. 100% availability - Real time. Vital signs measurements can be monitored continuously, allowing real-time response by physicians authorized by the service provider. Reconfiguration. The BioAssist network of devices requires no fixed installation and adding or removing sensors instantly reconfigures the network. Furthermore, authorized physicians have the ability to re-target the sensors’ data processing thresholds on the fly if it’s judged necessary.